In this dish, the flavours of the tuna and the sauce blend together well with the chilli adding a slight kick to this dish. It’s hard to believe that this dish can be whipped up in less than an hour. It’s also a great alternative to the regular old tuna sandwich. 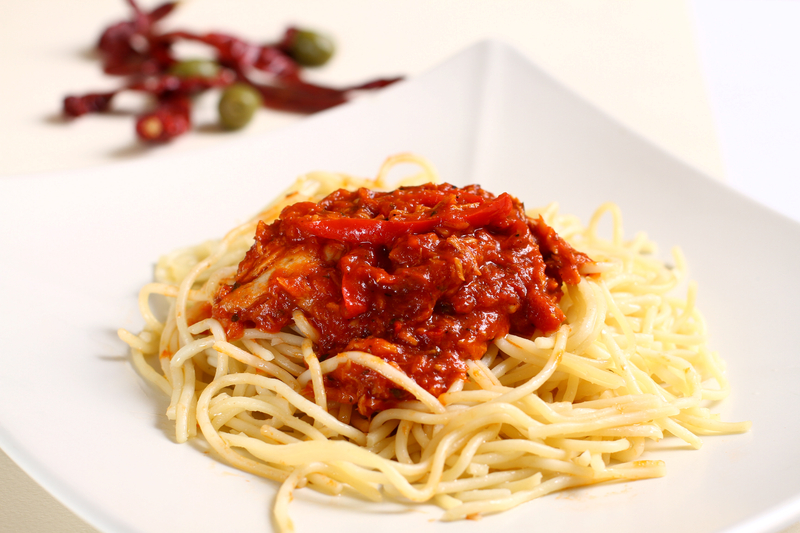 Add PREGO® Traditional pasta sauce into the pan and stir. Season with salt and pepper. Add tuna. Then, simmer sauce for 4-5 minutes.